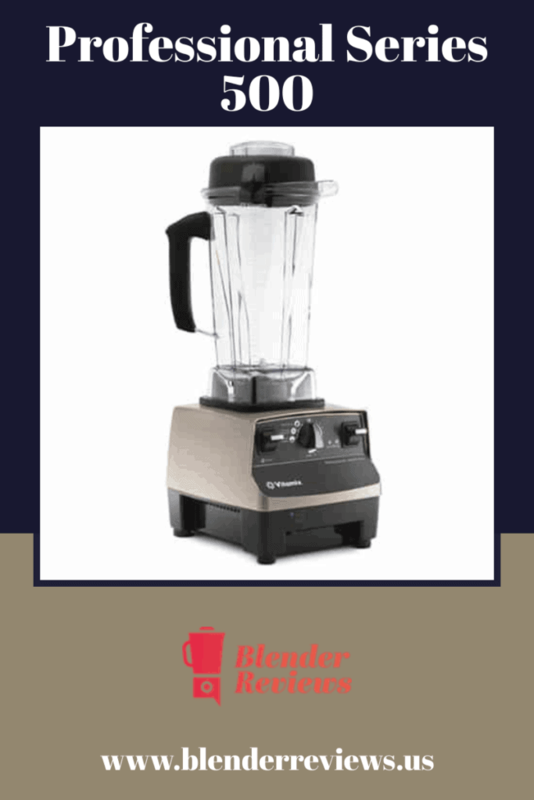 The Vitamix Professional Series 500 is a C-Series (Classic) blender packed with features that help you take your culinary game to the next level. The programmed settings and variable speed dial will make anyone feel like a professional chef. 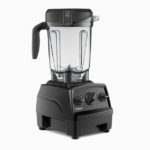 You can get free shipping – a $25+ savings – when you purchase a Professional Series 500 direct from Vitamix using the links on Blenderreviews.us. 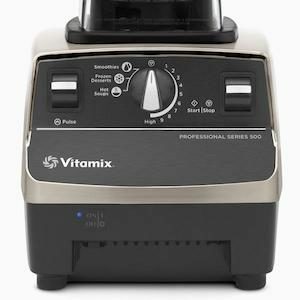 Not surprisingly, the Vitamix Professional Series 500 is very similar to the newer Professional Series 750, but it’s features the classic Vitamix design. This means it comes with a taller container and the taller, square base, meaning that it will likely be a bit too tall to fit under your standard kitchen cabinet. 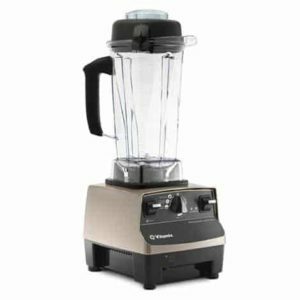 The measurements of the Vitamix Professional Series 500 will match that of the other classic Vitamix models. It stands, 20.5″ tall with the 64 oz container in place, is 8.75″ deep, 7.25″ wide, and weighs in at 10.5625 lbs. You’ll also find the same 6-foot power cord as the other models, which can be wound up and store easily underneath the base, allowing you to use just as much as you need. The base is only available in one color, brushed stainless finish. It should be noted though, that the base is not made of actual metal, it is only a stainless steel finish on plastic. This package also comes with the Create cookbook which includes recipes from various gourmet chefs, a Getting Started guide, a Let’s Get Started DVD cooking class hosted by chef Steve Schimoler, and a tamper. 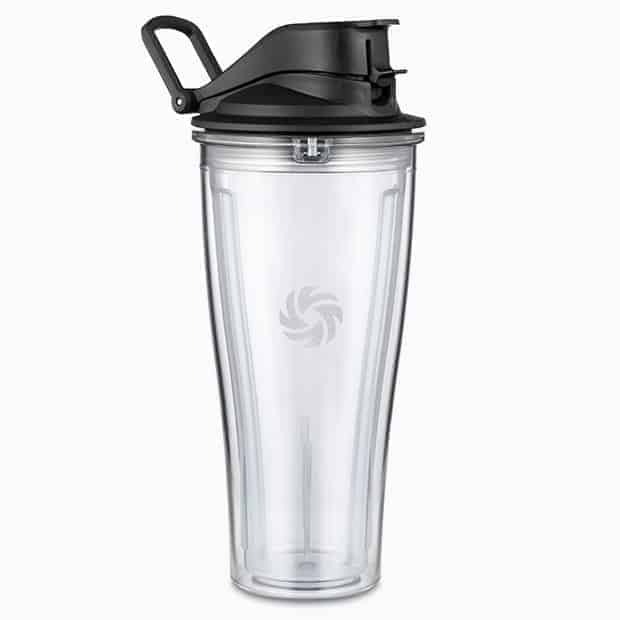 The Vitamix Professional Series 500 comes with the taller style 64 oz container made from BPA-free plastic. The container stands a full 13.4″ tall on its own making it difficult to on the blender base under a cabinet or inside your standard kitchen cupboard. This classic container design is slowly being replaced with a shorter, wider container found on the new Vitamix 7500 Professional Series 300, and Vitamix Professional Series 750. The motor of the Vitamix Professional Series 500 is the familiar 11.5 amp, 2-peak horsepower motor found in the Classic Series Vitamix models. This motor is extremely efficient and can power through almost anything you can throw at it. All of this power means that this blender is capable of spinning the blade at a top speed of 240 miles per hour giving it the ability to heat up ingredients with pure friction. 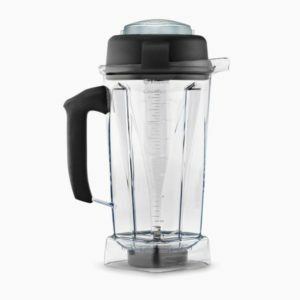 Four to five minutes is enough time for this blender to take room temperature ingredients and heat them to the point where steam develops, but be warned, it will certainly make a lot of noise in the process. The controls on the Vitamix Professional Series 500 feature a few noticeable improvements over the standard knob and dial configuration present on the Vitamix 5200 which make it a bit more versatile. This model features three pre-programmed settings (smoothies, frozen desserts, and hot soups) in addition to the variable speed dial and pulse toggle. These settings will allow you to set it and forget it as the machine will start, adjust the speed and timing, and shut itself off at the required timings. You’ll also notice the newer addition of the pulse toggle, which allows you to quickly increase the speed to give your blend a quick burst of power, helpful when making salsas or guacamoles. You can save $270 on the Professional Series 500 by purchasing the Certified Reconditioned Standard Programs package. Although the Vitamix Professional Series 500 features additions that are not available in the lesser Vitamix models, like the pre-programmed settings, the exclusive cookbook and DVD, for just a few dollars more, you could have the newly redesigned Vitamix Professional Series 750. For us, the additional cost of the 750 is worth it to get the updated design of the new, shorter container and base, and the more powerful and quieter, 2.2-peak horsepower motor. On the series 500, the blade inside the container needs to come out after removing the black disc. Do I have to “dump” it out, since I don’t want to cut my fingers reaching in. Dumping also means whatever else in the container comes out as well. Also, it seems the only way to return the blade is to reach in–tight area- and put in place, then putting the disc back on.Again, the fingers. I reached out to Vitamix with your question since I’ve never personally gone thru this process and they suggested you contact their customer service department right away at 800-848-2649 so they can review it with you. I think that will be the quickest solution. It was suggested that one should not be removing the blade and if the blade is falling off there is a problem. By the way, their customer service is top notch. If you call today (Tuesday) there may be a longer wait time than usual since they were closed Sunday and Monday for the Memorial Day Weekend.